Intel Core2Duo E8500 Socket-775 processor kopen? | That's IT! 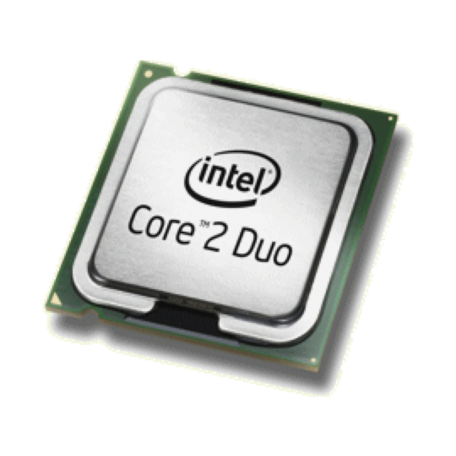 Intel® Core™2 Duo processor met 1333MHz Frontside-Bus en 6MB L2 Advanced Transfer Cache. Based on Intel® Core™ microarchitecture, the Intel® Core™2 Duo processor family is designed to provide powerful energy-efficient performance so you can do more at once without slowing down. With Intel Core 2 Duo desktop processor, you'll experience revolutionary performance, unbelievable system responsiveness, and energy-efficiency second to none. Big, big performance. More energy efficient. Now available in smaller packages. The Intel Core 2 Duo processor-based desktop PC was designed from the ground up for energy efficiency, letting you enjoy higher performing, ultra-quiet, sleek, and low power desktop PC designs. Multitask with reckless abandon. Do more at the same time, like playing your favorite music, running virus scan in the background, and all while you edit video or pictures. The powerful Intel Core 2 Duo desktop processor provides you with the speed you need to perform any and all tasks imaginable. Love your PC again. Don’t settle for anything less than the very best. Find your perfect desktop powered by the Intel Core 2 Duo processor and get the best processing technology money can buy. Only from Intel.